Do you want to check your 2019/2020 WAEC result online? We have heard candidates say “I want to check my WAEC result online” well if you are in a hurry to quickly check your WAEC results this page will guide you out. Have it in mind that the West African Examination Council popularly called WAEC has promised to release the 2019/2020 WAEC results in just 45 days. This is really good news to all candidates who just took the exam and are desperately looking for how to check their results or how to download WAEC results. 3 Where can I download the 2019/2020 WAEC result right now. 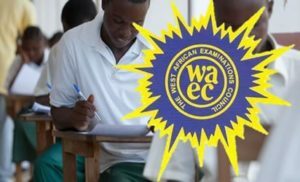 4 How do I check my Waec result for 2019/2020? This is the burning question on the mind of most WAEC candidate right now, they all want to know if WAEC result is out or not. We have to be plain to you all the 2019/2020 WAEC result is not yet out. The West African Examination Council has promised to release all result at least 45 days after the exams ended. So just start counting 45 days from the last day the last paper was written. Where can I download the 2019/2020 WAEC result right now. We have heard candidates asking “where can I download WAEC result now” I want to download my WAEC results? How do I check my Waec result for 2019/2020? There are several ways to check the 2019/2020 WAEC result, first you Can check your results online then secondly you can check your results via sms. We have taken time to explain the process below. First you need a scratch card from authorized dealers around. In the space provided input your center and seat number just like 4310963***. Input your card pin (scratch card pin) and serial number. Then you can click the submit button. The West African Examination Council understands that not all candidates have access to internet, some areas on Nigeria either have poor or no internet network at all. While some candidates don’t have a system or browsing phone to access the internet. If you fall in this category then you can just use your Nokia touch or any kind of phone to do the following we ae going to point out here. First obtain a scratch card valued at 500 or more depending from where you get it from. You need to send a code to a number let’s show you how. The short code is 32327 and the year is 2019, your pin is in middle and exam number is first typed. PIN simply stands for personal identification number. This means that no two pin are the same. Each pin are unique and are attached to a result. Immediately you obtain your WAEC scratch card you should keep your pin secret until you have used it. Once you used the pin no one can make use of it again. The scratch card is just a small piece of paper or document that contains your pin and serial number. You can get this scratch card at the bank, business centers and other accredited dealers. Like we mentioned before WAEC scratch card can be gotten from the bank, authorized dealers and even business center and lastly WAEC offices nationwide. Please be very careful where you get this cards from so that you won’t be sold invalid card. This is the burning question on the mind of WAEC candidate right now. Have it in mind that WAEC scratch card is program in a way that it can only be used just 5 times. If you exhaust this 5 limited times you can buy another one. Instead of checking your result often just download it. No its not possible, each candidate can only make use of one card per each results. If you make use of a card no else can make use of that card. Very very possible, we just explain the process above. Just kindly follow the process then be rest assured that WAEC will deliver your results via sms to you. WAEC result is valid for as long as one is still alive, it doesn’t expire or have any validity at all.